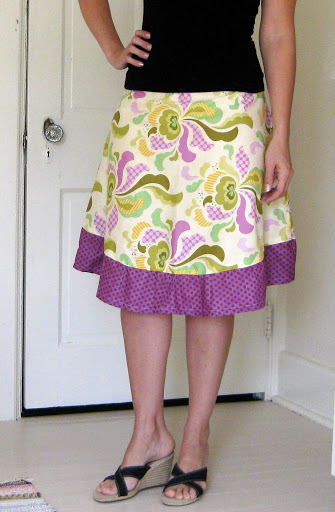 I recently finished this skirt that I started last Thanksgiving. I know, I’m a speedy seamstress! My favorite parts of sewing are fabric shopping and designing what I want to make. The sewing part just takes too much patience and drives me a little crazy! 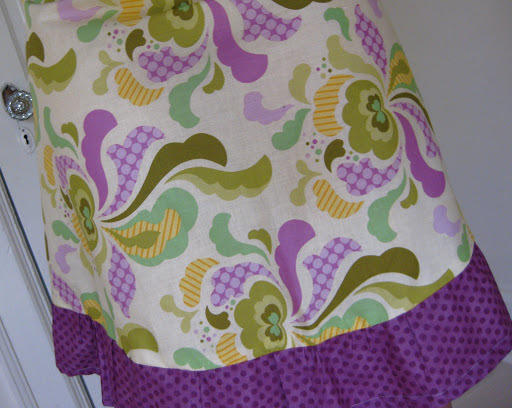 I loved these colors and fabrics! And this is what we’ve been doing a lot lately…watching it rain and rain and rain. 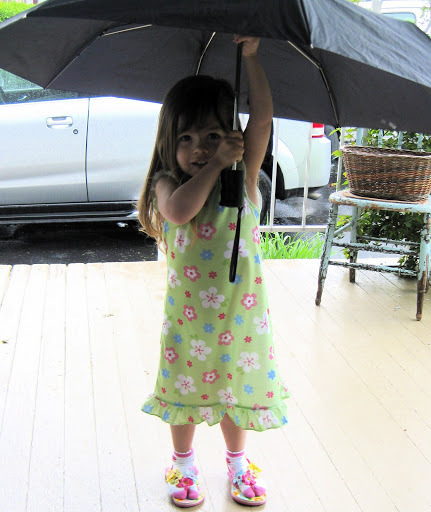 The first thing Avery does in the morning is pull on her socks and flip flops and goes out on the porch to play with the “umbellela”, with her nightgown still on. I know – where is her mother? ?